Young children are the foundation for Charlotte’s future Jewish community. 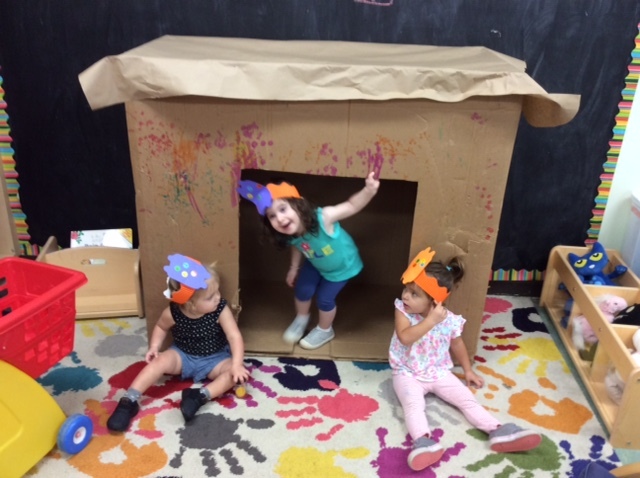 At The Jewish Preschool on Sardis, we are committed to helping each child create permanent connections to Judaism. In addition to Judaica classes, we plan many engaging Judaica programs throughout the year which develop children’s love and pride for Judaism. We help children become familiar with Jewish traditions and holidays as well as Torah stories. All Judaic classes promote the values of the Torah, which include honoring our parents, sharing with friends, treating each other with respect, and helping those less fortunate than ourselves. The Jewish calendar is chock full of holidays that celebrate our history and tradition. Naturally, this is a big part of our Judaic curriculum, and each year the children build upon their previous knowledge. While we are closed on many of the Jewish holidays, our children are well prepared! They learn and experience the holiday in hands – on ways, and go home ready to celebrate with their families. We invite parents to join us for celebrations such as Brunch in the Sukkah, Dreidels with Dads, Purim Carnival, and Matzah with Moms. Fridays are special at JPS as we usher in Shabbat with our Shabbat Welcome. The school comes together at the beginning of the day to sing songs and enjoy delicious challah. We welcome families and alumni to join us for this special time.